Interim Head of School Mr. Segar is a seasoned and successful administrator, with more than 30 years of experience as a head of school and interim posts. Mark believes that questions are the essential components of learning that schools need to be filled with opportunities for children to make, do and discover things for themselves. He believes that every child’s education should include a deep cushion of metaphor, soft, strong and sustaining. Schooling should incorporate both playful exploration and rigorous inquiry, and cultivate both individual skill and collaborative capacity. Mark’s previous positions have included Head of School at Waynflete School in Portland, ME, Director of the Common School in Amherst, MA, and Interim Head appointments at Springside Chestnut Hill Academy, Learning Prep School, and Falmouth Academy. 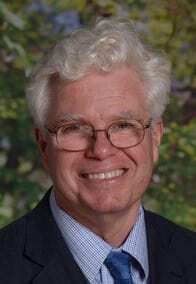 He will be joined in the Berkshires by his wife, Susan Metters, a retired school counselor.